Okay… I’m blaming this project completely on my guild-mate Beth Wells! I got to sit next to her at our last PMQG All-Day-Sew, which was sweet enough on it’s own… but then she let me go through her bag of ‘give-aways’. 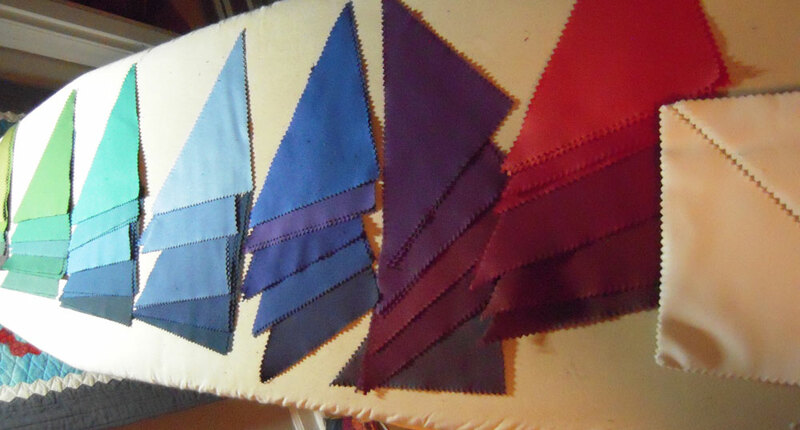 She was de-stashing and I was able to take home some cute fabrics AND a package of white pre-cut Half Square Triangles. I think it’s pretty… a different take on a rainbow quilt. I’m excited to sew it all together and get it on a longarm. 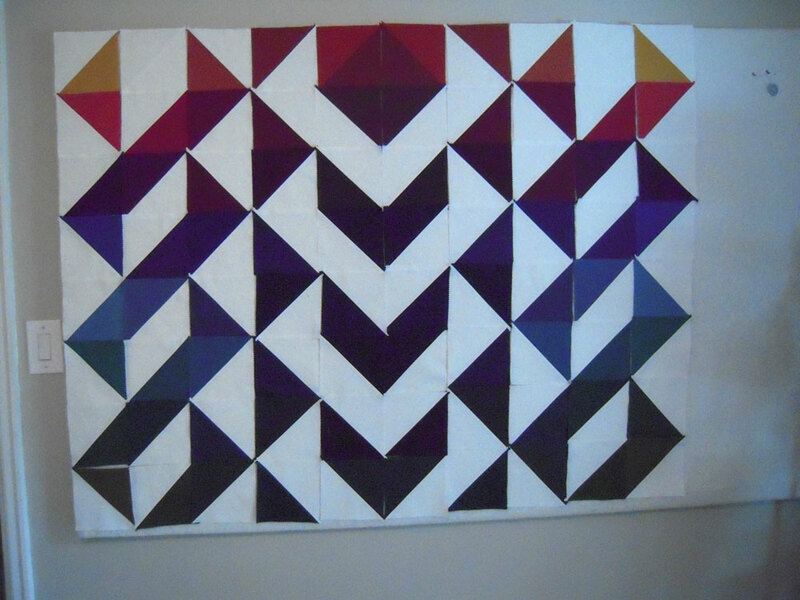 I think this quilt will lend itself nicely to some funky quilting, but for now I just need to keep on sewing! Wow wow wow, who would of thought what a little pack of triangles could become. You are simply amazing. I love this quilt! Love it! I think those might be from our first retreat! Ha ha… you never know when or where the inspiration will hit! Thanks!! They could be! I loved that retreat… can't wait for the next one! 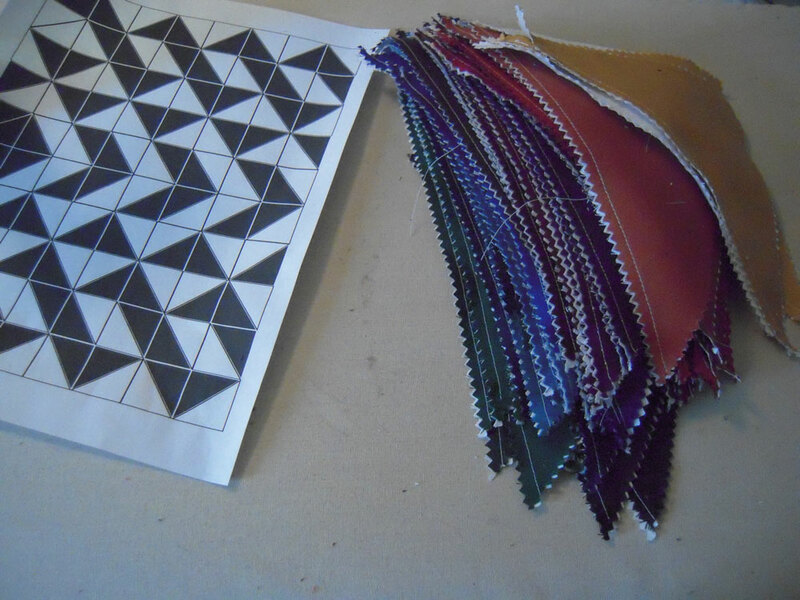 Previous PostPrevious Ygritte – Game of Quilts! 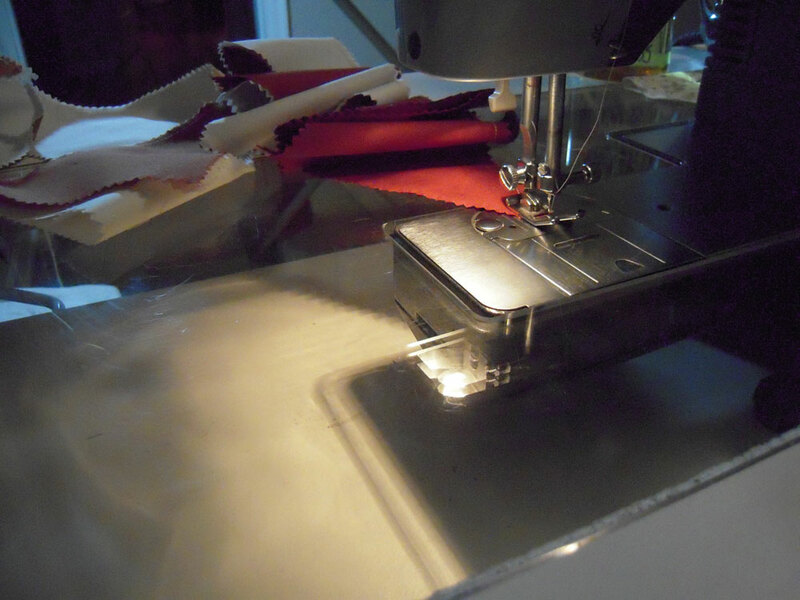 Next PostNext A Hexie Placemat – All Points Patchwork Blog Hop!